Following concerns that drug prices will rise in the background of several domestic firms being taken over by the multi-national companies, the government has decided to put a strainer into foreign direct investment (FDI) in the pharmaceutical sector. 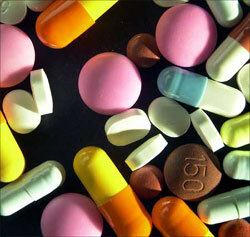 The government, so far has allowed 100% FDI under automatic route for green-field investments in pharmaceutical sector. However, for brown-field investments, FDI will be permitted through the Foreign Investment Promotion Board (FIPB) permission for a period of upto six months. The high level committee chaired by the Prime Minister Manmohan Singh, met to discuss the recommendations made by the Maira committee report, which followed a CCEA decision to get more clarity on the issue of FDI policy governing the mergers and acquisitions (M&A) in the pharma sector. Some of the market players and government agencies have raised concerns over the growing acquisitions of domestic drugs firms by the foreign players.